 Colin Lee Opticians is a family-run business, which has been serving patients across the West Midlands and Staffordshire for more than 40 years. Using the most advanced technology lenses can now be made thinner lighter and more comfortable to wear than ever before. In our own lab we are able to glaze lenses for you which are scratch resistant, reflection free, water resistant and most importantly UV absorbing. Research now shows UV light can lead to age related sight loss so absorbing it is more important than ever. Always wanted to try a varifocal but worried you won’t get on with them? Don’t worry, modern varifocals when correctly dispensed by our professional staff are 98% successful. They also come with a 30 day trial period for your piece of mind. Varifocals arnt just for near and distance, if your issue is just looking from computer to desk we can supply you lifestyle or occupational lenses, making working so much easier. As an independent opticians we are not tied down to one particular manufacturer of lenses so we can truly make a Tailor made prescription to suit your needs. These days many people choose to wear spectacles as a fashion item, and with our huge choice of frames, including the latest designer names and bespoke engineering, we can help you find the frame which is just right for you. We offer a full range of spectacles, with prices to suit all pockets – please see our promotions for full details. Also see your local branches page for branch specific events and offers. Being independent, we can supply an extensive range, without being restricted to certain brands and designs. This means a greater selection for our patients. Whatever the design, style/colour or shape, you can find just what you need. Our friendly and professional Dispensing Opticians and Optical Assistants are able to advise you on what styles and colours suit you best, and ensure the fit is perfect. Whatever your budget we have a range to suit you; complete glasses and lenses starting from £38.95, 2 pairs from £79.95 (single vision) or free with NHS vouchers. Bifocals start at £65.95 and varifocals from £100 both including frame. We have offers on second pairs (to help make buying multiple pairs a lot more affordable) to create a different look or simply a spare set for the car. We stock specialist glasses for sports or safety in the workplace all which meet British Safety Standards. It is not just a good idea, but vital, to protect your eyes in bright sunlight. Ultraviolet rays can cause serious problems for your eyes, including cataracts, and lead to reduced vision in later life. We carry an extensive range of sunglasses, including prescription lenses, Polarised lenses, designer frames, and specialised sports pairs, suitable for different activities, such as sailing and cycling. You can even choose to have photochromic lenses (transitions) in your prescription, which are light sensitive, and will only darken outside, so they can be worn at all times. Todays contact lenses have been designed to suit all manner of different climates, lifestyles and vision needs. If you have never tried before, but fancy making a bid for freedom from your frames, get in touch today and find out which lenses would suit you best. You won’t regret it. Have you been told you cant wear lenses? Think again. We supply lenses for all types of eyes including Astigmatism/Toric, Multifocal, High prescriptions, Keratoconus and Dry eyes. We have two really easy to follow systems of payment for our contact lenses, which are much the same as you’d use for your mobile phone. You can have a monthly contract, which you pay for by direct debit and have everything included, or on a pay as you go basis, whereby you decide what you need and when. An eye examination takes at least 20 minutes and is free for children, over-60s and people who are eligible to funding under NHS. Our private sight test fee is £28.95. The health of your eyes is checked to ensure there is no disease present, and sometimes, these checks can mean a follow-up visit to assess changes. If you need spectacles, your current prescription and standard of vision are checked. Routine examinations are also vital as the health of your eyes can also help to indicate other health problems, such as diabetes and high blood pressure. We offer fundus photography, which records the condition of the back of the eye, and is an essential part of the examination of a person with diabetes. Any visual needs relating to your occupation are discussed, and any recommendations are passed to our dispensing optician, who can then advise you on the most suitable lenses and frames. Whatever age you are it is important to have regular eye checks to ensure your sight remains the same and to detect any health problems, but at certain ages your eyes are more prone to change, making regular eye examinations more essential than ever. This is why the NHS offers free sight tests to those over 60 and under 16. Children are constantly changing and growing, and their eyesight can change quickly too. Research has shown that up to one in five children have a problem with their eyesight which goes undetected, leading to difficulties with their learning, and enjoyment of everyday activities. Most importantly, a child’s visual system only develops until 7 years of age so if left undetected some conditions will be too late to treat. Our opticians can detect problems at an early age, there is no need for them to know their letters and any child’s sight should be checked at least once a year. Sight tests are free for all children under 16. We offer a fashionable range of frames with lightweight safety lenses free of charge with NHS vouchers with spare pairs from £15.00. Our practices stock a wide and attractive range of frames including designer names, character designs, specialist frames for the very young (and accident prone) and sports options. Have you found yourself struggling to read with poorer lighting or having to hold thing further away to read? Many people over 40 will find they need reading glasses and almost everyone will need spectacles of some form by the age of 65, this is a normal process and sadly cant be avoided but, as we get older we are prone to more eye health problems such as glaucoma, cataracts and macular degeneration which can be avoided with the correct detection, we should therefore make sure we attend regular 1-2 year eye checks. Hearing is vital, but one of our most neglected senses. It is estimated that almost nine million adults in the UK have a hearing difficulty, yet more than a third of them have sought no assistance - that's over three million people who could be enjoying a better quality of life with improved hearing today. Help is at hand. Colin Lee and Jenks Opticians are associated with the UK's largest high street hearing care retailer and now provides a service at all of our branches. For a free hearing health check contact us today. Big and bulky hearing aids are a thing of the past with Invisible hearing aids from £495 a pair. Do your eyes often feel dry or irritated? Do certain activities, like reading or working on the computer, make your eyes feel scratchy? Are you wearing your contact lenses less because they feel uncomfortable? If you answer “yes” to any of these questions, you may have what dry eye practitioners call dry eye syndrome. It’s a common problem, but you don’t have to live with it. So what is dry eye? Dry eye means that you might not be making enough tears, that the tears you produce are of poor quality or the tears you produce are evaporating away faster than they should. We run specialist dry eye clinics at all of our branches. With the right advice and products we can often help you to experience a big reduction in in your symptoms. You may need a full eye examination prior to your dry eye assessment if it has been more than 2 years since your last examination. A three month tailored treatment plan costs just £40.00 (free for contact lens wearers on our direct debit) and includes; Initial triage and questionnaire, full dry eye assessment, two follow up appointments after one and then three months aswell as help, advice and ongoing support from our trained staff. The treatment and products needed will vary depending on the type of dry eye you suffer from and your optician will advise you on the best options. Diabetes is a common condition in the UK and retinopathy may be present in 90% of people who have had the disease for 20 years or more. It is the most common cause of blindness in the working population, but is amendable to treatment if initiated at the appropriate stage. Eye screening is a key part of your diabetes care. If you have diabetes, your eyes are at risk of damage from diabetic retinopathy. Diabetic retinopathy occurs when a persons diabetes affects the small blood vessels at the back of the eye, if those blood vessels affected are in the central area of the retina (macula) then its known as diabetic retinopathy. Screening is a way of detecting the condition early before you notice any changes to your vision. If detected early enough, treatment can stop it getting worse. Otherwise, by the time symptoms become noticeable, it can be much more difficult to treat. This is why the NHS Diabetic eye screening program was introduced. Everyone aged 12 and over with diabetes is offered screening once a year. The Check takes about half an hour and involves examining the back of the eyes and taking photographs of the retina. All of our practices are registered with the NHS diabetic eye screening program. Any queries please call your local practice or contact us through your local branches page. Colin Lee opticians are very proud to be able to offer the unique services of an Orthoptist to all of their practices through Ben Marchant BSc(Hons). An Orthoptist is an eye specialist in diagnosing and managing eye co-ordination issues such as Amblyopia (lazy Eye), strabismus (squints) and diplopia (double vision). Orthoptic services are usually only available in a hospital and have long waiting times for initial appointments following referrals and then subsequent follow up appointments. Not anymore! Squints in children under 7 don’t often present with symptoms, The eye will appear to point in a different position. Sometimes it can just be a false appearance of this and there is no need to worry, or in other cases if left undetected and untreated it can lead to sight loss. A lazy eye can, in many cases be reversed if detected and dealt with before the age of 7. Double vision can be a serious sign requiring emergency attention or it could be simply lazy/weakened muscles around the eye which can be exercised, corrected with prisms or require surgery. Following your routine eye exam we can now offer services to dramatically reduce your waiting time from one off consultations to see if; a squint is indeed present, if you’ve had a squint since childhood we can consult you if surgery is possible, determine the cause of your symptoms and therefore if more urgent attention. Full management packages available for correcting intermittent double vision through exercises, and patching treatment for lazy eyes. Initial consultations cost £50 with follow up appointments £28.95 and treatment packages available for multiple visits. Private health insurance credited, Bupa etc. Any questions or for more information please contact your local branch. At Colin Lee opticians we are involved with local GP’s in an NHS shared care service where we are now able to see patients with minor eye conditions (PEATS) such as red or painful eyes without the need of paying for an eye test or the need to visit your doctors or local hospital. Opticians were previously unable to see such conditions under the NHS and it was considered a private examination and instead had to visit a local hospital or GP. Not anymore. If you are registered with a local GP you can use this new service no matter what your age (under 16 years must be accompanied by an adult). To make an appointment call your local branch. You will be asked some questions about your symptoms in order to assess how quickly you need to be seen by the service, which will be within 24 hours in urgent cases and a few days for routine appointments. Please Note this is not a full sight test. If you have a major eye condition that is being monitored by your optometrist or hospital eye service, this will not be covered by this service e.g. cataracts, glaucoma, and diabetic retinopathy. If your condition is more serious you will be referred either urgently or routinely to a hospital eye clinic.